India is currently in a turbulent state following the terror attack on 40 CRPF personnel at Pulwama earlier this week. 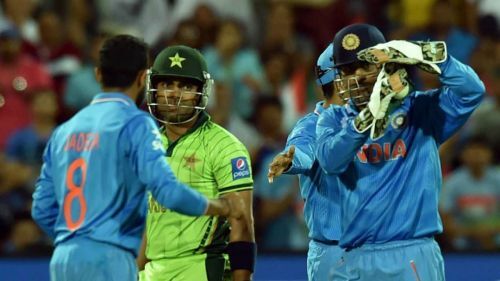 Now, Suresh Bafna, the secretary of CCI (Cricket Club of India), has asked BCCI to denounce matches against Pakistan in the upcoming World Cup. Speaking to ANI, he condemned the attack on the Indian soldiers and said, “Though CCI is a sporting association the nation comes first”. He also expressed his displeasure at the fact that Imran Khan has not spoken up about the incident. “He (Imran Khan) should respond. He is the Prime Minister and if he believes that Pakistan has no role to play in the attack then why is he not coming out openly. He should come out openly. People should know the truth. He is not coming out openly which means that there are stains in their folds,” he added. Following the terror attack, Imran Khan’s portrait at Brabourne Stadium headquarters in Mumbai was covered. Bafna added that the covering of the portrait was their way of condemning the barbaric attack. “We called a meeting on the very next day of the attack and to condemn the attack, we decided to cover the photo. We'll be deciding soon how to remove the photo,” he added. Imran Khan played 2 matches against India at the Brabourne Stadium; one of them being a festival match in 1987 in which he captained his nation. He also played against Australia at the same venue in 1989 where he was adjudged the Man of the Match.